We got a cou­ple of slices of deli­cious cake and one of the tasti­est choco­late brown­ies I have ever had. It’s such a mis­sion try­ing to find good veg­an food, so it’s great find­ing a stand at a mar­ket with a cor­nu­copia of options. 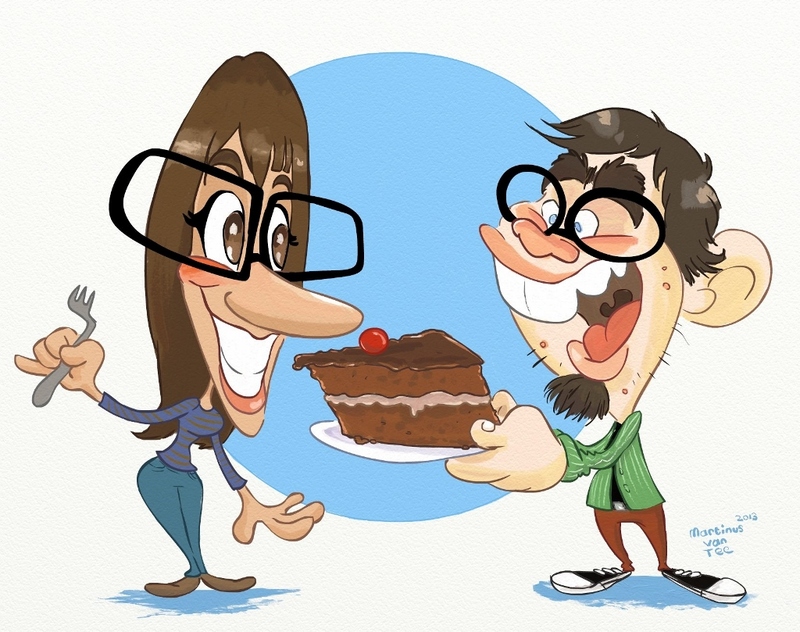 So any­way, I decid­ed to sketch an illus­tra­tion of the two of us about to tuck into the choco­late fudge cake. Lumai from Spades and Spoons Deli here.